U.S. stock has performed well in 2013. Some stocks even achieve a higher return than indices such as DOW or S&P 500. 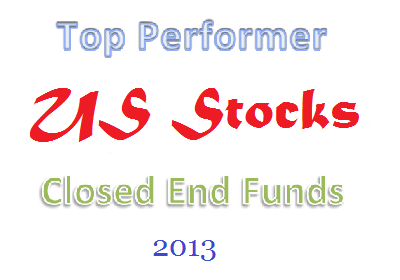 In 2013, the best performing U.S. stock closed end fund is H&Q Healthcare Investors Fund. This stock fund managed to return 69.88%. This CEF fund invests mainly in healthcare and medical technology firms, private equity and foreign securities. The fund’s manager is Daniel R. Omstead. This top equity closed end fund has a 3 year average return of 37.28%. 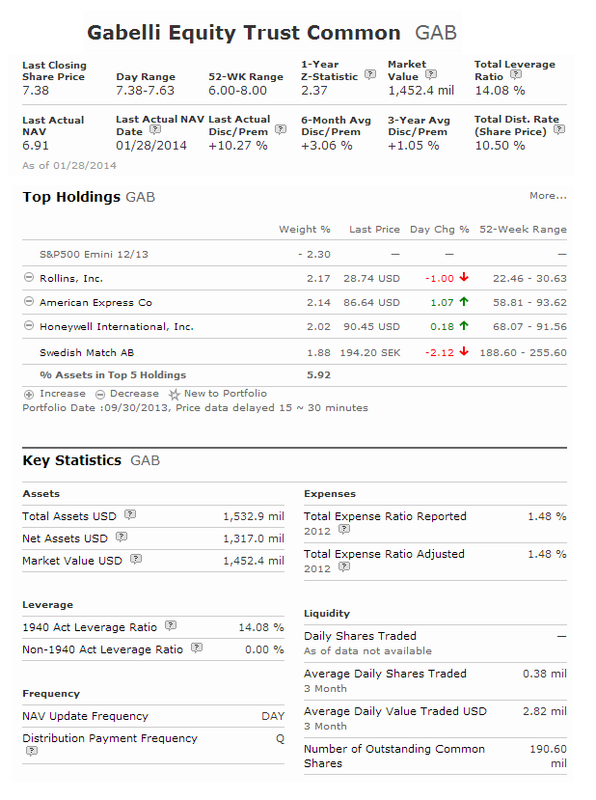 The top 3 stocks in its assets are Gilead Sciences Inc, Regeneron Pharmaceuticals Inc, and Celgene Corporation. Gabelli Equity Trust Fund is seeking to provide long term capital growth with income. It utilizes its assets to purchase equity securities. This stock fund has an expense ratio of 1.47%. This equity fund has a high yield of 10.30%. It is managed by Mario J Gabelli and Zahid Siddique. Morningstar has ranked this top performing US stock closed end fund with 5 stars and bronze rating. The fund has returned 22.61% over the past 3 year, and 30.14% over the past 5 year. In 2013, it has a year to date return of 56.47%. The top 3 country allocations are North America region (81%), European developed (14%), and Latin America region (2.44%). 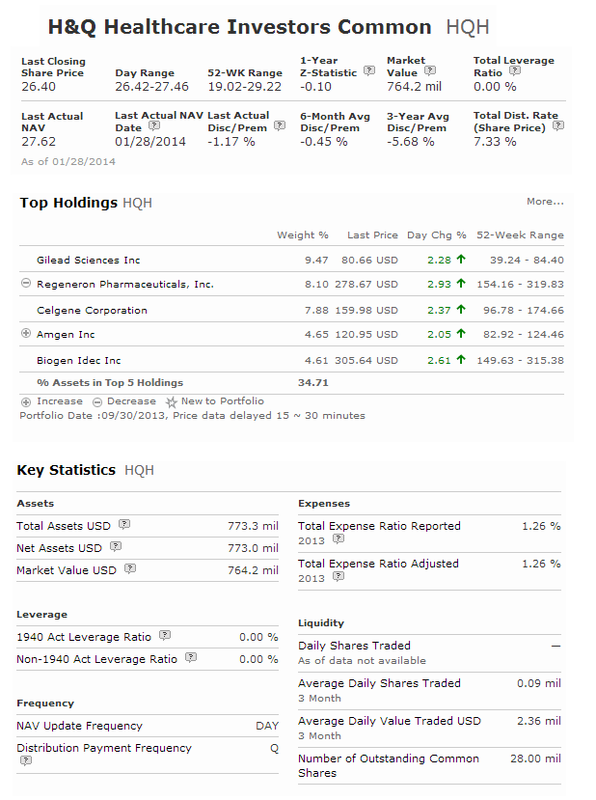 The top 5 stocks are Rollins Inc, American Express Co, Honeywell International Inc, Swedish Match AB, and Deere & Co. In 2013, Liberty All-Star Growth Fund has high YTD return of 52.71%. This equity fund invests most of its assets in small, mid and large cap growth equity securities. This fund has total net assets of $137 million. The expense ratio is 1.46%. The fund’s sponsor is ALPS Advisors, Inc. The top 3 equities in its portfolio are Cerner Corporation, ACE Ltd, and LinkedIn Corp.